Toward the end of my graduate studies in organic chemistry at the University of California, Irvine, the conflict that sometimes arises between science and faith presented itself forcibly to me. The closest friend that I had in a group of about 25 people was a brilliant post-doctoral fellow from Georgia, and we decided to take a day trip to the San Diego Zoo to get away from the pressures of the University. 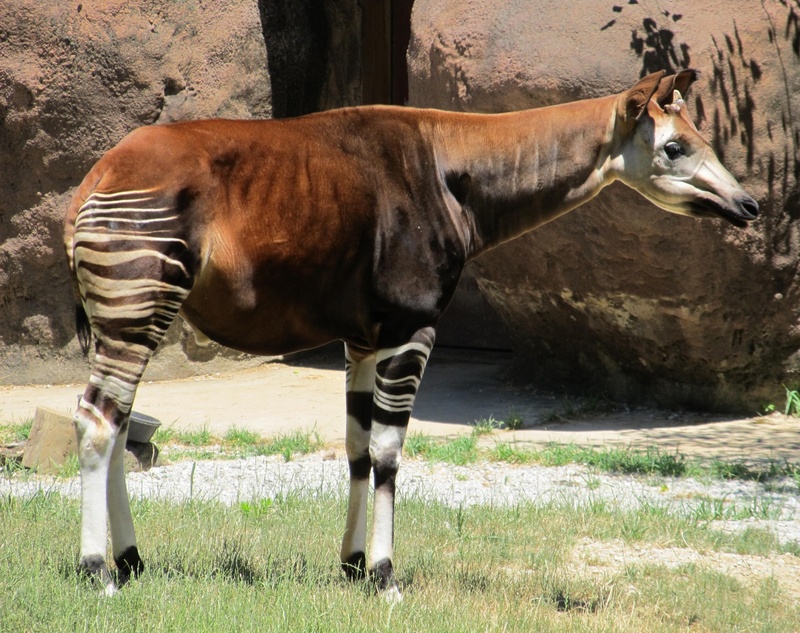 At the end of the day as we were headed north to Orange County, he began to speak about the okapi, a giraffe-like animal with stripes on its hind legs reminiscent of a zebra, that we had seen at the zoo. My friend was speculating on the evolution of this unique animal and its giraffe “cousin”, and he detected a certain reticence from me. He immediately drew the correct conclusion, and questioned with great surprise, “You don’t believe in evolution, do you?” To say that he was surprised would probably be an understatement. More like flabbergasted. We had been friends for more than two years at that point, and I had apparently hidden my insanity well. How could any rational and intelligent person NOT believe in evolution? From this point there was a tension between us, until he left UCI to take a job in the pharmaceutical industry. We have not spoken in more than 10 years, though I have tried to call his cell phone a few times over the years. I believe, though I am not certain, that this episode informed his decision not to maintain our friendship. My friend’s shocked response to my faith in Creation speaks volumes regarding the perception of Darwinian evolution as undeniable and established fact, as opposed to a theory that can be legitimately challenged. A denial of Darwinian orthodoxy is often viewed by its advocates in much the same light as a denial of orthodoxy by any other religious person. In the intervening years, science and faith have continued to play an important role in my life and I now teach medicinal chemistry and pharmacology at the Loma Linda University School of Pharmacy. As opportunity presents itself, I try to explain to my students the ways in which complex and interdependent biochemical transformations, such as DNA synthesis, defy an evolutionary stepwise origin and demand a Creator. I also try to explain to them why it matters that a Christian should believe that God is the Creator of life, as opposed to creation by the purposeless mutation/adaptation model espoused by the neo-Darwinian synthesis of evolution. And I try to show them how understanding their job as pharmacists allows them to minister to their patients, and in their own way to heal as Jesus would were He in their place. My research is focused on aggressive and difficult-to-treat cancers, and I hope that these studies might eventually lead to therapies that can improve cancer patients’ lives. I’ve found that though the conflict between faith and science may occasionally strain friendships, and has strained several of mine over the years, there is no logical tension between the two. It is entirely possible to be a Bible-believing (yes, even those early chapters in Genesis), Jesus-loving Christian and a believer and practitioner of science. The Bible describes us as “fearfully and wonderfully made” (Psalm 139:14). It says that we are the product of careful thought and preparation, and created in the image of a God that loves us (Genesis 1 and 2). These same things are true of the world around us, the study of which we call “science.” My favorite author, Ellen White, says that “All truths, whether in nature or Revelation, agree.” (Signs of the Times, 1884, #11). The honest pursuit of truth should never cause Christians to fear that their faith will be shaken or lost. We may not be able to understand everything that is found in nature, but the reality is that no one does. But the truth can only be found in the One who calls Himself “the Way, the Truth, and the Life” (John 14:6). In my experience, science rightly understood leads us closer to the Author of all knowledge and provides for a greater appreciation for the work of His hands. Understanding the world in which we live through the study of science in its various forms is a gift that God offers to His children. Reading the Scriptures to learn where this world came from, why we are here and where we are going is another gift the Lord has generously provided. The love of God for His children is revealed in both science and Revelation, and the blessing of God rests upon all those that seek Him through all of the means that He has provided. “Ye shall seek Me, and find Me, when ye shall search for Me with all your heart” (Jeremiah 29:13).